But I seem to remember Tanner Mangum having a pretty good season early on before fading. In fact, I was worried about Taysom early in his career and by his JR and SR year I wasn’t. I hate this game so much. I hated it at the end of the year because we had a bigger game to prepare for. I hate it at the beginning of the year because a loss could derail what is supposed to be a great season. I just hate it. I love being in the Pac12 and having those matchups week in and week out. But I also love the traditions of college football, I hate that Texas and Texas A&M don’t play anymore or Colorado v Nebraska etc. 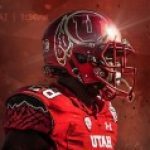 I may like the thought of never playing BYU again, but I think I would miss the actual game and the history of the game. If we lose to BYU to begin the season maybe we weren’t as good as we thought we were to begin with. Talent wise it shouldn’t even be close, so I’d like to see us take care of that game without it being a 1 possession game. This topic contains 1 reply, has 2 voices, and was last updated by RiseasUtes 1 week, 2 days ago.